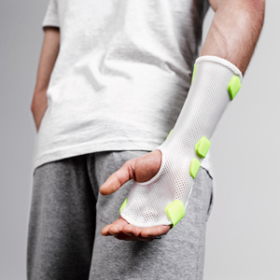 Orthotic fabrication materials from Orfit offer the highest possible performance to both therapists and patients in physical rehabilitation. 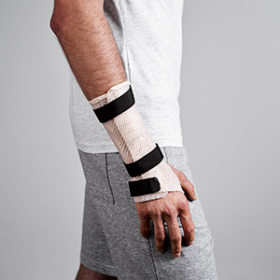 Our wide product range consists of engineered thermoplastics that will help you solving your most challenging splinting requirements. 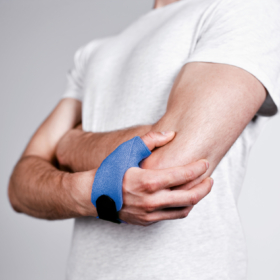 Through workshops and inservices, our experts provide lots of tips and tricks to make your orthotic fabrications functional and successful. 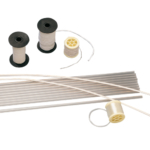 All of our thermoplastic materials are developed and produced in-house to make sure that they are perfectly suited to their purpose and your needs. 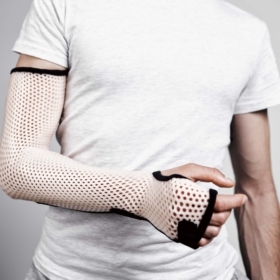 Orficast More is a unique textile-like thermoformable material. 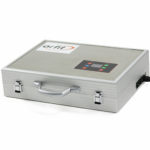 It offers extreme comfort for your patients and is very easy to use. 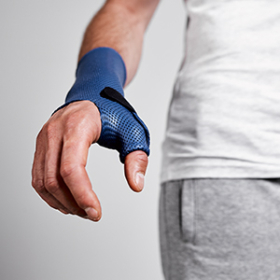 This knitted hybrid fabric is ideal for all applications of finger and/or thumb orthoses and supportive bandage wraps. 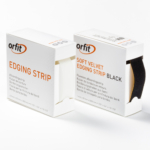 Orfit Classic has excellent elastic and adhesive qualities. 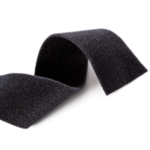 It is ideal for all orthosis types and has unlimited potential for fabrication of very large to very small orthoses. It is excellent as a base for different dynamic splint components. Orfit NS has unlimited potential for fabrication of very small to very large orthoses. It is an excellent base for attachments. The non-stick coating eliminates accidental adhesions but allows for temporary bonding while the product is warm. Aquafit NS has a smooth white surface and is an excellent choice for orthoses both large and small. When the coating is removed, all attachments can be adhered by using dry heat. 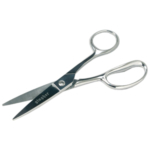 Voted best scissors in the world by the majority of the therapists. 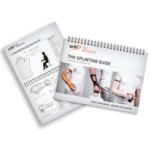 Visit our Useful Information & Educate Yourself pages for instructional videos, upcoming splinting workshops, guides for the fabrication of static and dynamic splints and frequently asked questions. One of the most exciting features about Orficast is the ease and speed with which you can finish your orthosis. Directly applying hook and loop straps on wet Orficast with the help of some Orficast scrap material will considerably cut down the overall fabrication time of the orthosis.